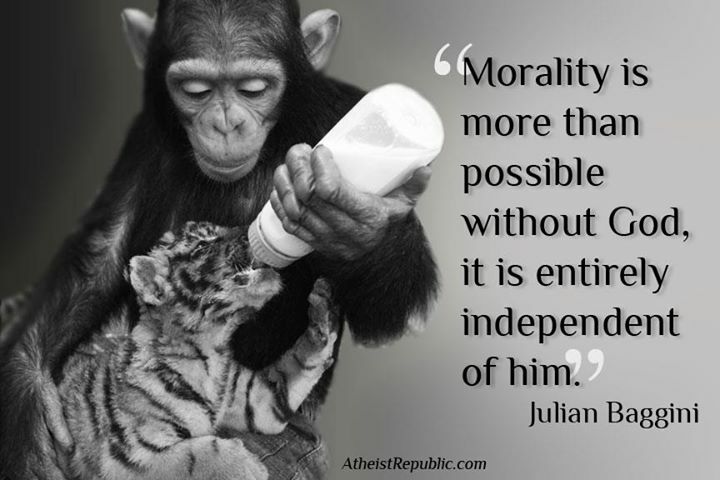 Morality is more than possible without God, it is entirely independent of him. People who think animals are not capable of morals obviously are some of the most ignorant beings out there these days and get this, they do it without your religious beliefs. Most animals understand children even when those children are of a different species and will adopt them if they do no have a guardian. Cats do it, dogs do it , monkey apes ect.. even the most wild of species all do it. Some religious people call this instinct, I say animals including humans are instinctual moral and yes, while it seems we hold different things moral than others we need no religion to give them to us. But I constantly come across theist who think otherwise and think that without religion you have no morals, funny thing is the most immoral people I have ever encountered were theist.